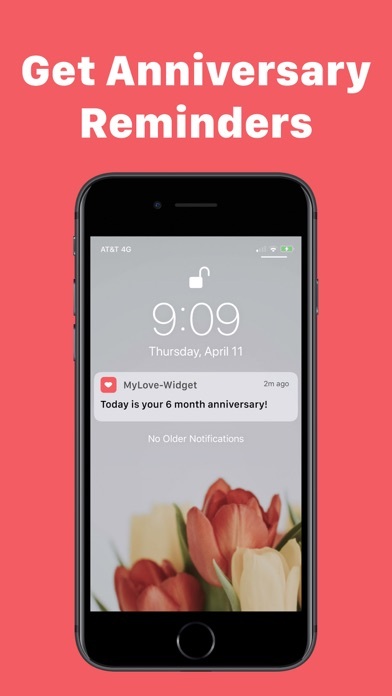 MyLove shows you stats on how long you've been with your partner Main Features: - Get Relationship Stats - Get reminders on important dates - Share a frame on various social networks! 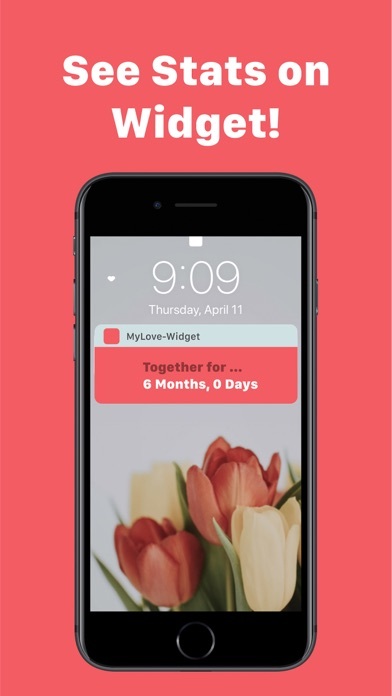 - Create Countdowns & be reminded - Use the widget for quick stats access Built with Love at Alerium Apps by: - Kenny Lugo - Juan Pablo Fernandez - Carlos Diez Support our team by rating the MyLove app! SOOO Thankful that this app was made. 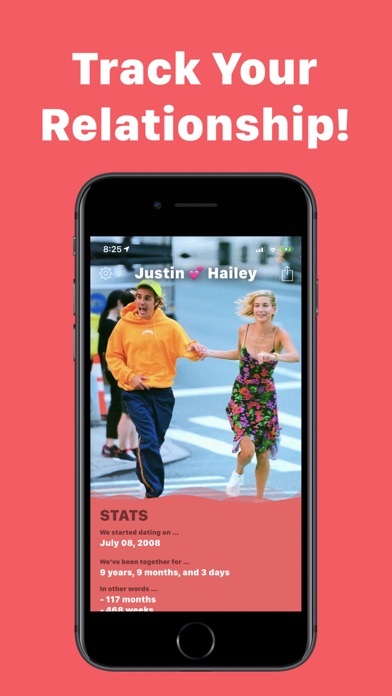 I’ve been looking for a relationship tracker app like this for the longest time. 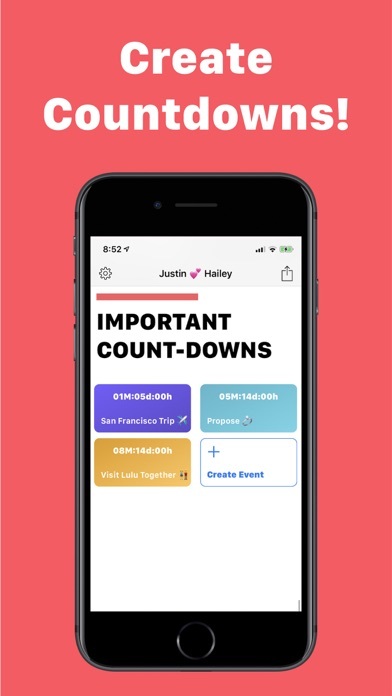 Excited to see new features !